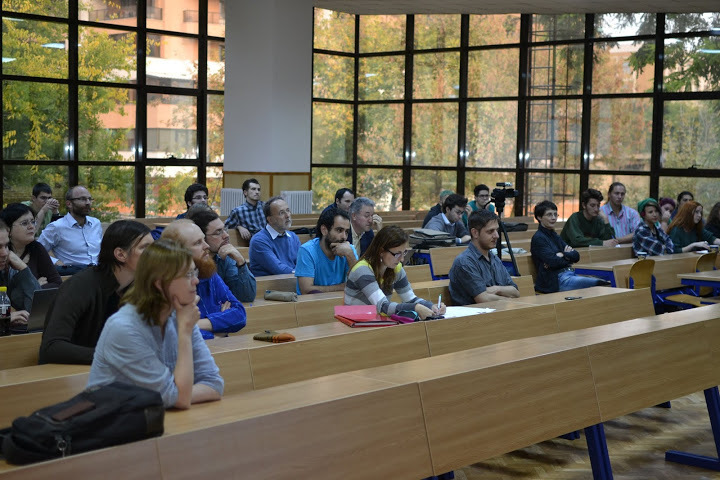 The CELFIS seminar is a weekly research seminar in Logic, History and Philosophy of Science hosted by the Department of Theoretical Philosophy and organized by Dana Jalobeanu. It meets every Wednesday from 6 pm, in the Faculty of Philosophy (Splaiul Independentei 204), room Titu Maiorescu. CELFIS seminar’s speakers are established researchers and academics, young researchers and PhD students willing to discuss their work-in-progress with the rest of the academic community. Some of the CELFIS talks are recorded (see also the archive here). Since 2015, the CELFIS seminar is jointly organized by our research group, the center in history and philosophy of science (CELFIS) and Institute for Research in the Humanities – ICUB, University of Bucharest. 9 November, Cătălin Avramescu (University of Bucharest), How the idea of a voting system came about? April 26 Timothy Tambassi (Institute for Research in the Humanities, ICUB), Ontological Perspectives for a Classification of Geographical Boundaries. May 17 Maria Carion (Emory University), Hurtado Herbarium. Natural History and Natural Philosophy in Early Modern Spain. For the past CELFIS events see here. For the archive of editions and pictures see here.